Disapproving Bun: Hella, Tapsi and Fülenagy, a.k.a. "His ears are big"
Hella, Tapsi and Fülenagy, a.k.a. "His ears are big"
Hoomin, how's that dandelion mead coming along? 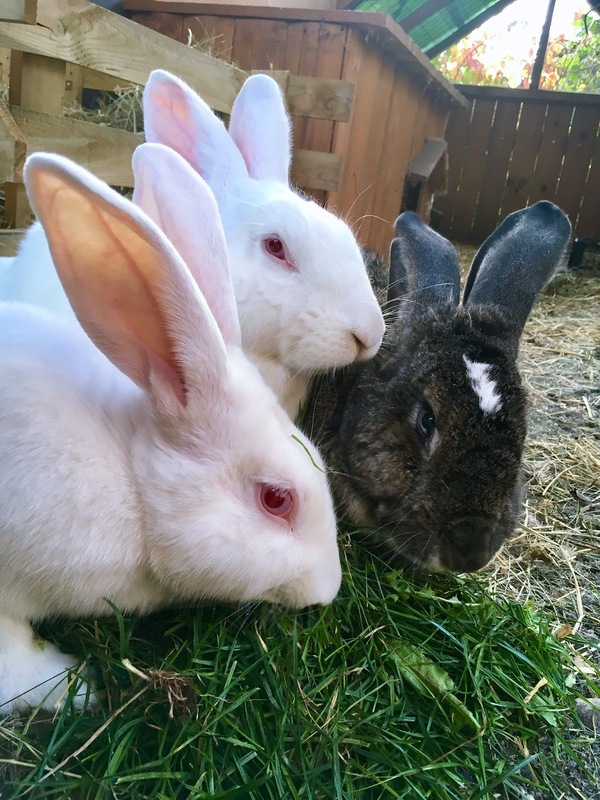 PS: Hanna says, "(...) the brown boy is Fülenagy (literally 'his ears are big,' because, well, his ears are remarkable even on a rabbit), Hella is on the left. Hella is the boss, she was not overly happy with Fülenagy moving in, but luckily Fülenagy was quick enough to understand the rules. Between them is Tapsi (its a very common Hungarian rabbit name, refers to clapping ears), who is the sweetest rabbit on Earth. He accepted Fülenagy the minute they met. Hella got her name from a character in one of Mikhail Bulgakov's book, a vampire, but she's also very friendly. Oh, wait a minute, no, none of them is sweet or friendly, they are disapprovers and slavemasters of the first class!" Classic bunny business - sweep you in with cuteness and then ... blamo ... the servitude begins! These buns must be hungary for some salad, am I right?